If someone has figured out a way to have fun on the water you will find it here at Island Adventure Watersports. Tourist travel from all over to find awesome things to do in Myrlte Beach, SC. Top on that list is watersports. below you find some of the great watersport activities we offer in addition to our popular jet ski rentals and boat rentals. 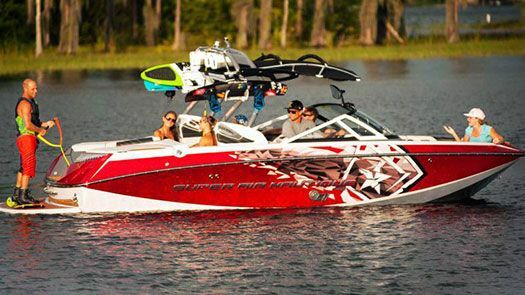 From wakeboarding to tubing we have you covered in our Super Air Nautical Professional Wakeboarding boat. Our goal is to make sure you have the best time possible on the water during your visit to Myrtle Beach. Make Island Adventure Watersports your #1 stop for watersports in Myrtle Beach, SC. 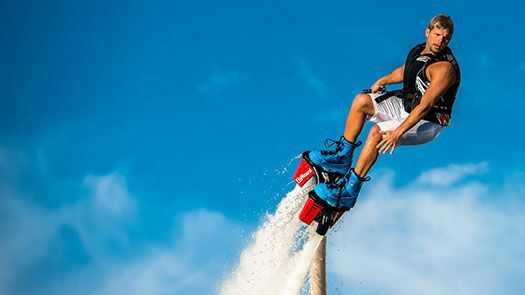 Book with our partner, Lifted Flyboarding, for a one of a kind experience that will having you hovering 20 feet over the water. Water jet propelled, you’ll go flying in the air like a bird and then dive in the water like a dolphin Using power from jet skis, the board takes you high up in the sky for the ride of your life. This new extreme water sport allows you to fly over the water, under the water, or fly freestyle as you learn to control your experience. Similar to Wakeboarding, wakesurfing varies in that the wakeboard is not attached to the boat. With wakesurfing, the rider trails behind the boat riding the boat’s wake. 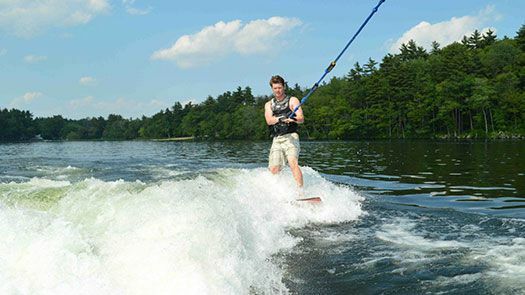 Once you get up on the wake by using a tow rope, you’ll let the rope go while riding down the slope of the wake. This type of water sport is similar to surfing but using a special board for wakeboarding and wakesurfing and is fun for all ages and skill sets! Water Skiing has a long standing reputation between water enthusiasts. Get pulled behind our boat with a cable extension and fly across the Waccamaw River! This fun sport is great for any water sport enthusiast and is great for any level of experience. 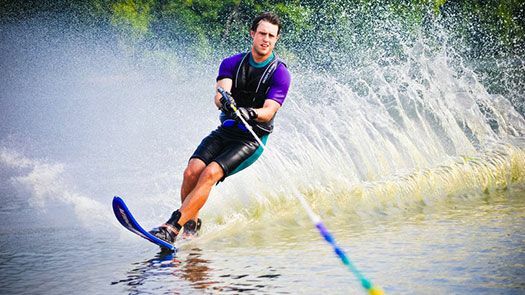 As you build your skills in water skiing, you’ll find yourself gaining upper and lower body strength and endurance. Bring your friends and have the ride of your life with us! Tubing on the Waccamaw is a great way to get a view of the gorgeous scenery lining up the river. 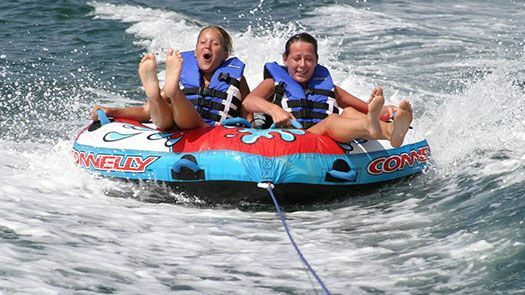 Gather your friends and hold on as you get pulled behind the boat in a giant tube. This thrilling ride will have you screaming with laughter and offer you loads of excitement for a great day on the water. Perfect for the novice or expert, this exercise can be used for team building, family bonding, or simply just hanging out with good friends.